This is one of my official Spot Tracker image during the summer 2014, Worcester Massachusetts to the middle western part of the United States. 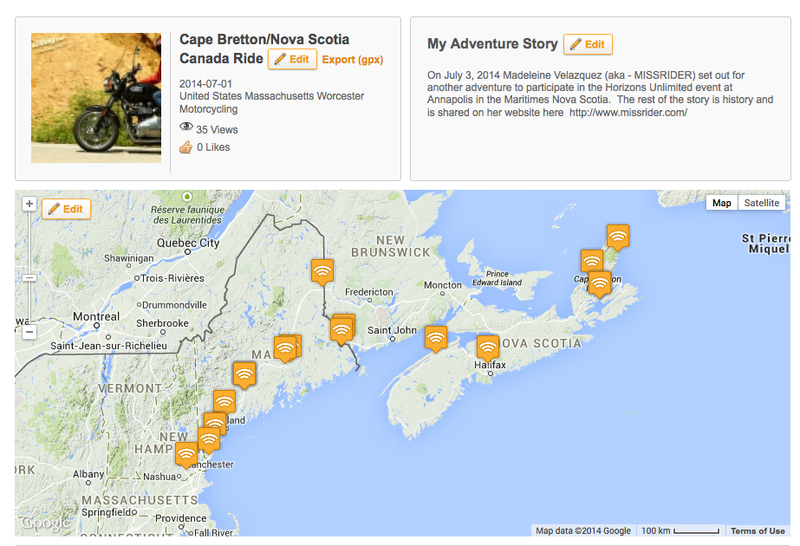 As of December 6, I am still writing my blog posts with details of this amazing solo ride. Still in progress, please stay tuned for the rest. In the desert of Utah, an act of kindness occurred. Read my blog and here is the photo of the result. The blog post will share all the details of meeting the most amazing man, Ewan McGregor. As a result, he was so pleased with my help, that he spoke of me on the Jimmy Fallon show, truly amazing. My first ride of the season was riding my Ducati Monster to Nova Scotia from Worcester, Massachusetts. Here is my official Spot Tracker. As usual, I love to write and share my adventures. To learn more about this ride, please visit my blog post here. The Triumph Bonneville sat in the garage most of the season after various mechanical updates with a fresh set of tires. Upon returning from camping in Hermit Island somewhere in the coast of Maine, I loaded the bike, set off to the west with no plans, just to ride. Besides meeting Ewan McGregor in Utah's desert, I visited friends in Colorado. 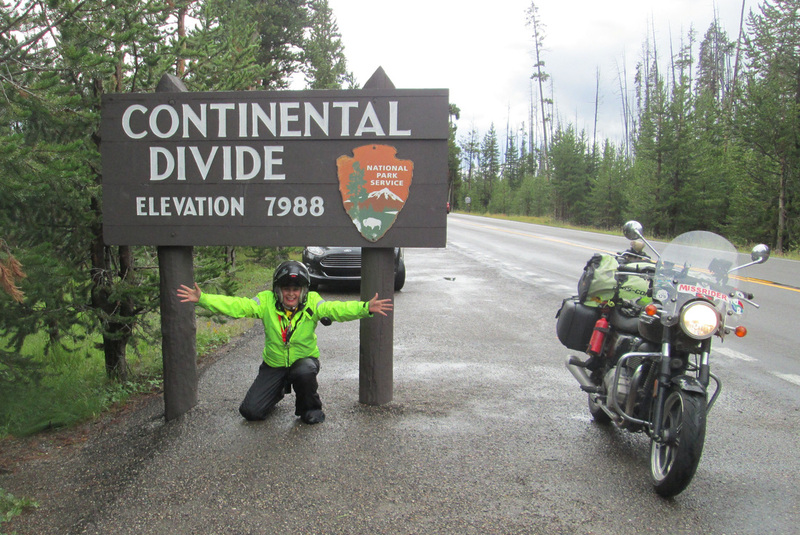 It was grueling 607mile/976 kilometer ride from Omaha Nebraska to Colorado Springs. My friends in Colorado Springs welcomed and nurtured me to health, washed my bike and laundry. From their house I headed northwest with a destination of meeting a Twitter road wanderer friend and his dog. This man roamed the mid-west riding a BMW motorcycle with URAL trailer for his dog named Spirit. I had been following their adventures for many years via Twitter as they had captured my heart with their videos. I wrote two blogs about them in my blog page. Here are the two blog links. The first one I called "The Quest". I felt the blog post deserved such a title because it was a true quest finding them in Montana with very little directions. The second blog post is entitled "Met the Man, the Dog and bought the book". Somewhere between Ennis, Montana and Yellowstone National Park, Wyoming, USA.